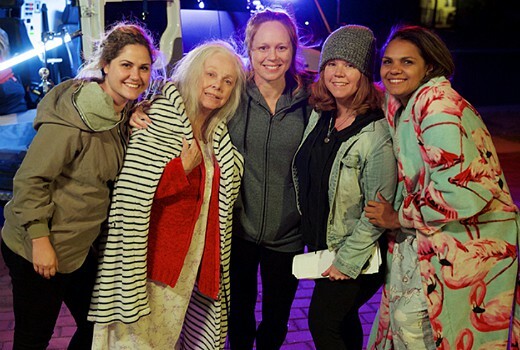 L-R: Emilia Jolakoska (producer), Lynette Curran (Molly), Hayley McElhinney (Dee), Miley Tunnecliffe (director) and Rarriwuy Hick (Cara). Two Western Australian short form projects have been funded by Screenwest’s Scripted Short Form Content Initiative, to screen at SBS on Demand. The fund aims to support emerging Western Australian filmmakers from under represented diverse groups. Two projects were selected for $80,000 each in production funding. Remember when SBS had a dedicated weekly 1 hour show for short subjects?…good times, good times.